This really is where your REGINA Outdoor living and appliance and Fireplace dreams meet in spectacular surroundings! Wheatland Fireplace REGINA is a TRUSTED Saskatchewan company that sells products that make your life better. Wheatland Fireplace services and installs their high-quality fireplaces, barbecues (bbq), grills and smokers from industry leading manufacturers. They love their customers and as a result,their customers love and TRUST them. Wheatland Fireplace are your Exclusive Trusted REGINA FIREPLACE and Appliance store and they are Trusted REGINA OUTDOOR LIVING & RECREATION Experts. 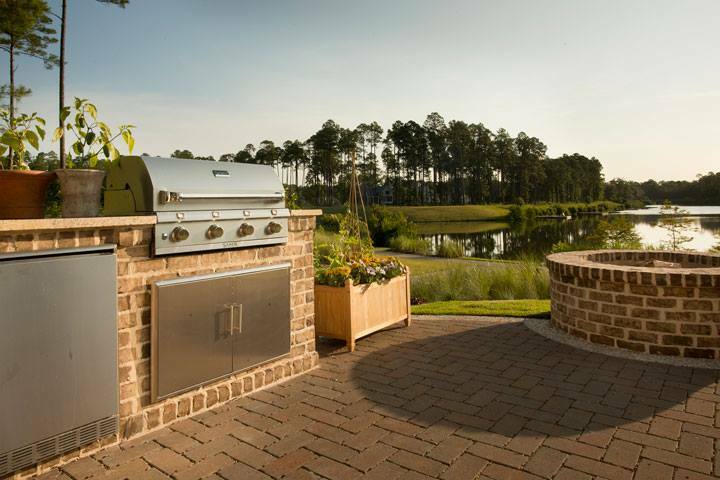 Designing the perfect outdoor kitchen is a lot like designing the perfect indoor kitchen. There are, however, a few additional thoughts that need to be considered before the putting your design into construction. Saber Grills, as with most grills today, vent out the back of the grill when the lid is closed. Not all grilling is done with the lid closed, but enough is done that it is important to consider the placement of the grill. In what direction does the wind blow? 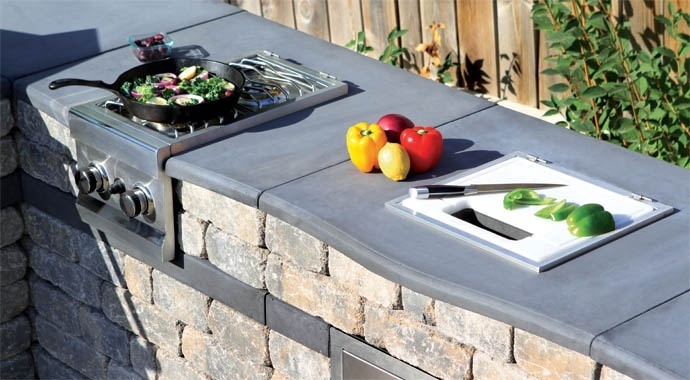 This just might be one of the most overlooked variables in outdoor kitchen designs by both professional and DIYers. Try to figure out which direction the wind blows, most often, to avoid having your guests move because they are being smoked out. Or, will the smoke from the grill blow towards open windows in your house? You cannot always avoid the smoke, but with a little careful consideration you can limit the discomfort the smoke can cause. Also, if your outdoor kitchen is under a patio roof or other solid cover do your best to push the back of the grill as close as possible to the edge of the roof line to allow the smoke to escape. Heartland Appliances is part of AGA Marvel's family of premium brands that includes Marvel undercounter refrigeration products, iconic AGA ranges and cookers, Northland full size built-in refrigeration, and La Cornue, the ultimate aspirational kitchen brand. The Heartland legacy dates back to the early 1900's, when the Findlay Bros. Co. Limited first produced the "Findlay Oval" in Carlton Place, Ontario. Heartland's classic styling is still based on this original, timeless design. Elmira Stove Works produced the Oval for a number of years until Heartland acquired the company in 1990. Aga Rangemaster purchased Heartland in 2005, and today the Heartland brand is manufactured in AGA Marvel's state-of-the-art manufacturing facility in Greenville, Michigan. AGA Marvel is a North American subsidiary of AGA Rangemaster. We are a pioneer in undercounter refrigeration products, and also manufacture and market a variety of premium cooking and full-size refrigeration products. As part of AGA Rangemaster, our history of creating premium cookware and appliances dates back to 1709 and the start of the Industrial Revolution in our Coalbrookdale UK foundry. Refrigeration brands date back to 1892, making us the oldest refrigeration company in North America. 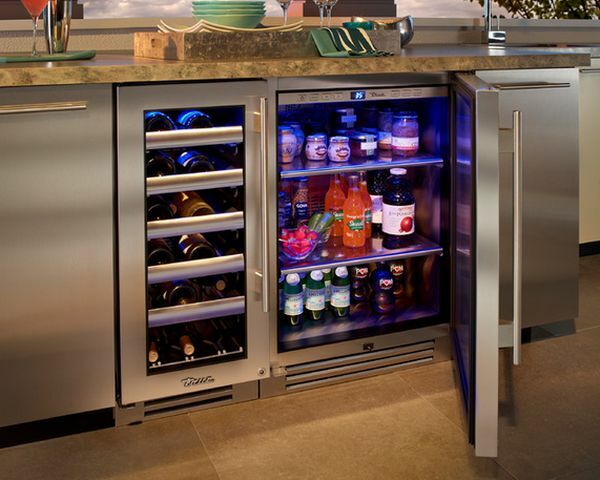 Today, AGA Marvel continues at the forefront of refrigeration technology, providing products for the home as well as for life sciences, the military, and sports arenas. AGA Marvel products are built in the USA in facilities that have earned ISO Quality Management, Environmental Management, and Occupational Health and Safety Management certifications.